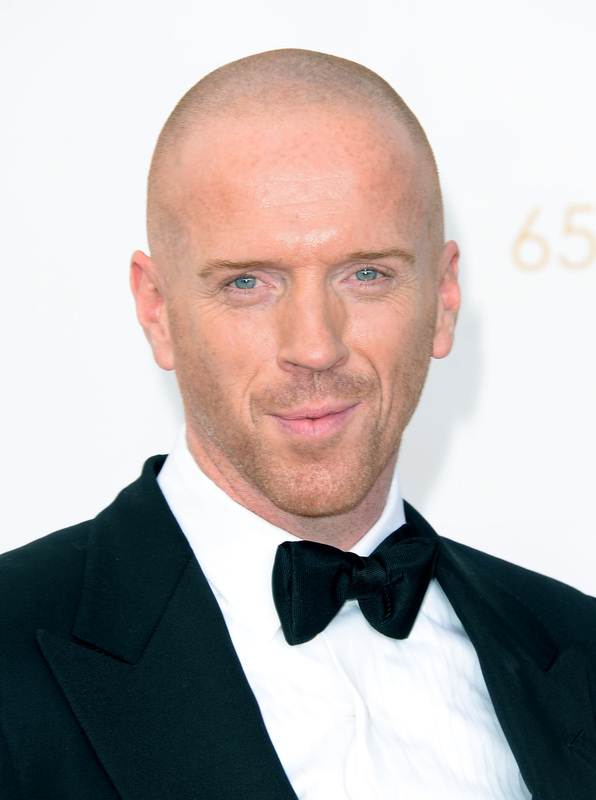 Last season's Homeland finale ended with Damian Lewis' Congressman Nicholas Brody fleeing from the American government on suspicion of terrorist action. Last we saw Brody in Season 2, he was sharing a tender goodbye with Claire Danes' Carrie Mathison. He wasn't in the first two episodes of Season 3, but when Brody made his Homeland return Sunday, he was... well, he was different. Specifically? Well, he's bald now, for one, but that's no biggie. He's also in Venezuela for some reason, with a bullet in the gut, and there's some heroin involved as well. Basically, the dude's a big hot mess. So what happened? The show's certainly not going to explain onscreen — they've said before that they're not planning to elaborate on the bullet-in-the-gut thing because who really needs to know why a main character got shot? Losers, that's who! Brody successfully made his way into Canada with the help of June, who we heard about last season, and who is an ex-CIA agent. He lived in a small shipping container on a boat for a week and spent the whole time brooding and thinking of Carrie. “I could hear you. I could taste you,” says the narration. Which, awww! But also ewww? A really scar-y guy named Phillipe shaved his head (apparently being glaringly ginger and a wanted terrorist made him too recognizable). From there, he moved with Phillipe to a brothel in Honduras, then to Nicaragua, then to a fishing boat in Panama where Phillipe killed the Captain because he was growing suspicious of Brody. On top of being a killer, Phillipe also apparently has a romantic side, because he asks Brody what he'd say to Carrie if he had the chance. Brody responds, “This was a mistake, Carrie. A mistake. I’m coming home. Bring me home safe, so I can tell the truth." Then he changes his mind after realizing how much crap he's buried in in this situation, so he alters it to, “Run with me, Carrie.” Whatever, dude. There's also a metaphor comparing Phillipe's amputated arm to a symbol of Brody's relationship with Carrie.